Munson Pond Endowment Fund - you can help! 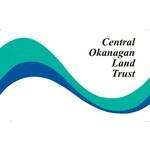 Central Okanagan Land Trust hasn't added a story. Munson Pond is an environmental jewel in the middle of the Central Okanagan’s rapidly urbanizing landscape. The pond is located at the end of Munson Road – off Benvoulin Road and just behind the FORTIS building and Kelowna Christian School. Originally dug as a gravel pit in the early 1960s, groundwater and artesian water quickly filled the pit. The result is a wonderful habitat for resident and migratory birds and for an exciting array of mammals, fish, amphibians, insects and plants - some of which are species-at-risk. Munson Pond is named for the Munson family who has farmed in the area since the late 1800s. From dairy farming to orcharding, the Munson family has been and remains part of the area’s rich agricultural history. Habitat loss is the most critical factor at play for wildlife and especially for species-at-risk. In the Okanagan region it is estimated that more than 70% of the area’s wetlands have been filled in or destroyed by some means. The remaining wetlands and their adjacent riparian lands are critical for wildlife, and they are vital to our health in terms of maintaining clean water and clean air for us all! The Central Okanagan Land Trust (COLT) worked with the City of Kelowna to establish a Conservation Covenant that would help insure that Munson Pond’s environmental values were maintained and, where possible, enhanced. With funding from many community groups, individuals, and government agencies, COLT and the City developed a plan to build a perimeter walkway, two viewing platforms, remove invasive plant species, and plant thousands of native species of plants. Many community groups and businesses came on board too, and all those enthusiastic work parties weeded, planted and watered the newly planted stock for three years. The result is an even richer wildlife habitat setting that will strengthen our community’s commitment to a healthy place for all of us. The Munson Pond Endowment Fund was established by the Board of Directors as a way to help insure that work needed to enhance wildlife habitat can move forward in a timely manner. The fund itself will be managed by the Central Okanagan Foundation, and the primary use of funds will be to support Munson Pond conservation covenant. Our goal is to build this important fund to a minimum of $25,000, and we hope you will join us to help reach that goal. We also hope you will get outside with your families and friends and tour Munson Pond and lots of the other wonderful parks and greenways in our region. ‘Protect land for wildlife and parks so biodiversity and natural features are preserved for future generations.’ For more than 25 years now, we have worked with local government, community partners, caring individuals, and granting agencies to secure and preserve important parkland and wildlife habitat. Like the more than 25 local and regional land trust groups across British Columbia, we care deeply about the natural landscapes, wildlife, endangered habitats and species-at-risk around us. The work we do is a true reflection of the phrase – ‘think globally and act locally’. We hope you will help us in this important environmental work! Central Okanagan Land Trust hasn't posted any updates yet. Central Okanagan Land Trust is managing the funds for this campaign.